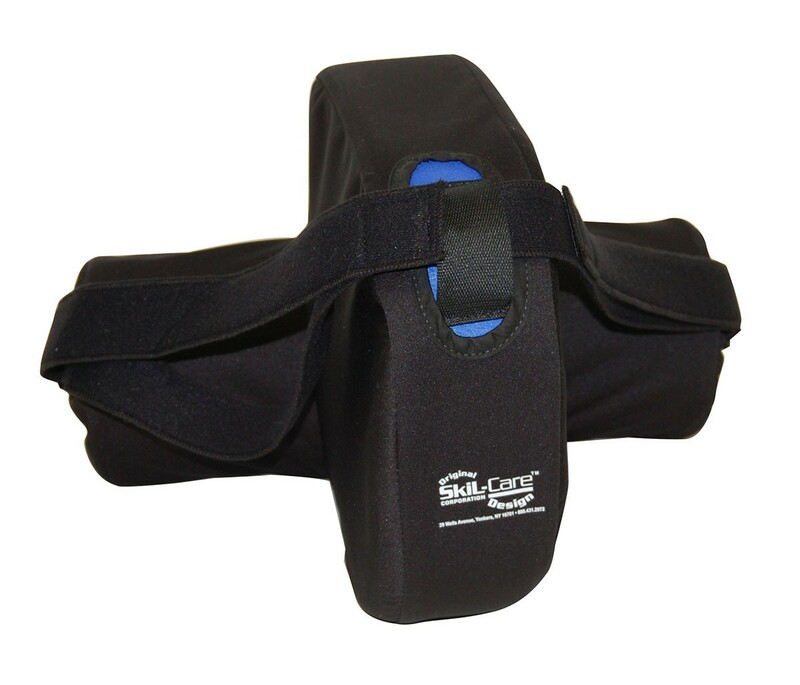 Abductor/Contracture Cushion by Skil-Care is ideal for patients who are in need of additional help to comfortably sleep through the night. 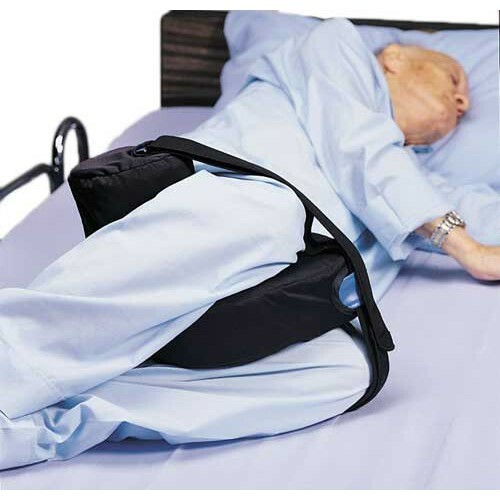 Whether you rest on your back or side, the behind-the-knee security of this cushion prevents leg contracture and abduction in bed. It is made from a material that is easy to clean, durable and has an inner cover of durable nylon that is easily wiped clean. 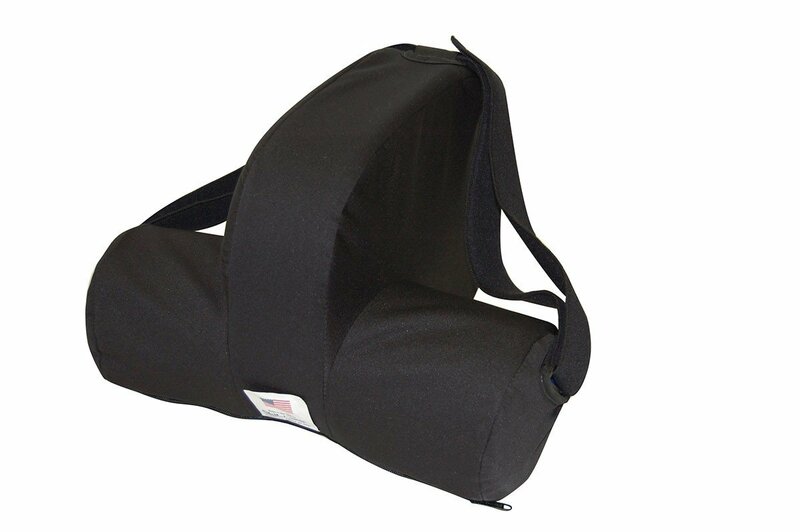 It has a high level of sanitation and offers positioning comfort to patients that pillows and cushions cannot provide. It's also ideal for decreasing the amount of skin damage a patient may experience while sleeping or resting in bed due to friction. Comfort is king and sleep is necessary, so this cushion is perfect and helpful for both. This abductor cushion allows caregivers to lay a patient either on their side or back securely by placing the Velcro strap through the D-ring (See illustration in product information manual). The removable cloth cover may be hand or machine laundered and dried. The nylon cushion is easily wiped or can be cleaned with soap and water.